For such a long time now, hard-working Americans have strived to rise above the ever-growing gap between very rich and the middle-class folks. But then, thanks to technology and the job market that slowly keeps improving, it seems that this time around, things look to be promising. The millennial generation keeps striving to cast off issues like bad debt and grow in their careers. Not to mention, also start investing better in their futures. And yes, all that seems to be possible now than it was a couple of years back. 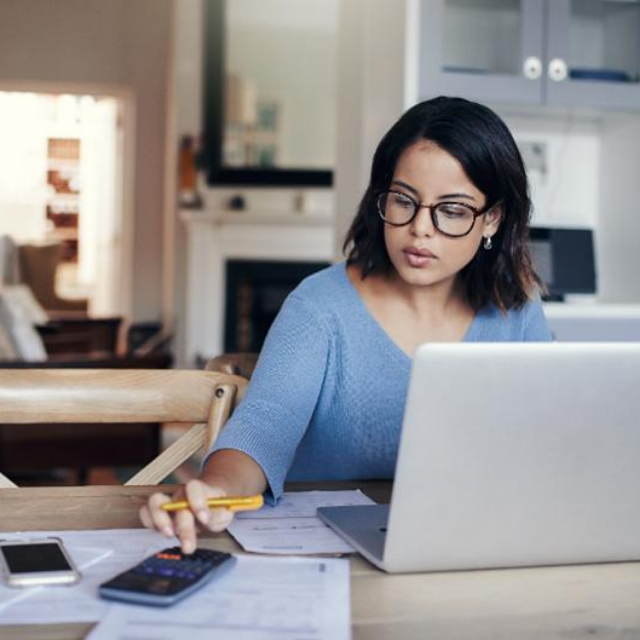 Thanks to Fractional Shares and other brilliant forms of investing, the new generation is really striving to kick out challenges like stagnant wages, living on stringent paycheck-to-paycheck budgets, and having record amounts of debt. It can be especially difficult even for this new generation to possibly look into the future when they cannot even see past their present. Thus, going forward to 2019 may see you witness the same investment trends that may not do you any good unless you make appropriate changes. And that’s where we come in. The best way you’ll even get a crack at improving your investment ways this year is by just starting things off. You cannot possibly think to accumulate funds if you do not, first, set any aside. Plus, the longer you also take to start investing in your future, the harder it will get for you to finally catch up. Be smart in your investment endeavors. By that, we mean that you must never invest in what you do not know. Therefore, whether it’s a person, asset, or some financial decision, don’t make any investment moves on it until you know something about it. Before you invest your hard-earned money on anything, ensure that you are in the know about it. This is one sure way of securing the cash you plan on investing. As an investor, you must also note that there isn’t any surefire way of making millions in minutes. Therefore, don’t expect the same lightning that hit someone you know with a big idea to strike you too. Sure, it may not be impossible. However, it can be quite difficult. Therefore, you want to be smart in your investment dealings. Watch the market and work on building an economic bubble that works for you; not one that is the most popular. If anything, it never works for everyone. Take the bitcoin issue for one. After it peaked tremendously, it has continued to plummet. It’s always hard to get any kind of rich by listening to self-proclaimed experts yap about how they made it. So, the pyramid schemes and no-fail business models just never work. At least most of the time. Plus, in most cases, most of those ideas even sound too good to be true. And if it does, then it probably is. So, research on everything thoroughly before you invest in it. Investments like Fractional Shares can get you somewhere if you continually keep track of them and know how they’re performing in the market. And the same goes for any other type of investment. It is crucial that you track your investments and keep both eyes on them whenever you can. There isn’t always any guarantee that all investments continuously grow. You never want to have poor investments weighing you down when you can perform much better in other investments. The best way that you can possibly secure your funds even as you invest is by separating them. Never put all your eggs in one basket. Putting all your savings in one investment can be a detrimental move and a surefire way of failure. It is also essential that you have a clearly thought-out plan on the investments you want to venture in. Investing isn’t like just waking up one morning and randomly picking a few investments hoping that they work. Therefore, have a goal and strive to achieve them. Even by investing in the short-term goals, you’ll be ultimately playing the long game. However, setting up a system that provides at least some little rewards can also be a beneficial move. Building up the smaller amounts to make a much bigger investment/s for the future is a good plan. Ultimately, you’ll be looking into how your future will be. Therefore, you want to factor in everything that you must do today to help you reach your long-term goals. Then, you try to compound that using diverse investing. By this, it is also essential that you don’t get too attached to your investments. In as much as the student loan debt could be weighing you down, it isn’t always enough to weigh you down. So, don’t let it cripple your future. You can make this possible by balancing your loan repayments with your retirement savings. Do this right, and you’ll be looking at a beautiful debt repayment transition. Try and have at least one tool that can help you keep all your finances in one spot. Apps like Mint are especially perfect for such situations. These apps can help track your spending habits, so you always know where you need to redirect your financial focus. Online tools and financial apps can help give you some small taste of investing. Plus, there are great apps that also offer excellent investment advice and reports that you can use to sharpen your investing skills. Instead of grabbing the big-ticket items every time you step out or when you get online, you also want to remember that little savings will always go a long way. Choose saving goals that can also work towards your future investments as well. Sometimes, experimenting it the only best way of learning about new markets. Therefore, you may need to dip your toes in different investments at times. However, it is still essential that you do ample research on the topic before you make any moves. Research, explore, then create a good plan that works to shape your future investment career the way you want it to be. As mentioned earlier, a person’s investment experience is different. Therefore, look for and use the investment plans that work for you. Investing can be as easy as ABC. But that’s only if you do the behind-the-scenes work and follow up on them. And investments like Fractional Shares, are especially demanding. Therefore, work to ensure they are always in line and working in your favor at all times. Otherwise, follow these investment tips and see how your future investments turn out.